Machine-specific insulation is the foundation of successful motor development. We offer your more than 100 years of experience in high-voltage electrical insulation and leading engineers in this field. Take advantage of their expertise. We can support you with advice on motor and generator development. What insulation requirements does the proposed machinery have? How do we combine the insulation components? Which materials function in the system and are suitable? How will these materials be applied? All these questions inevitably arise in any construction project. 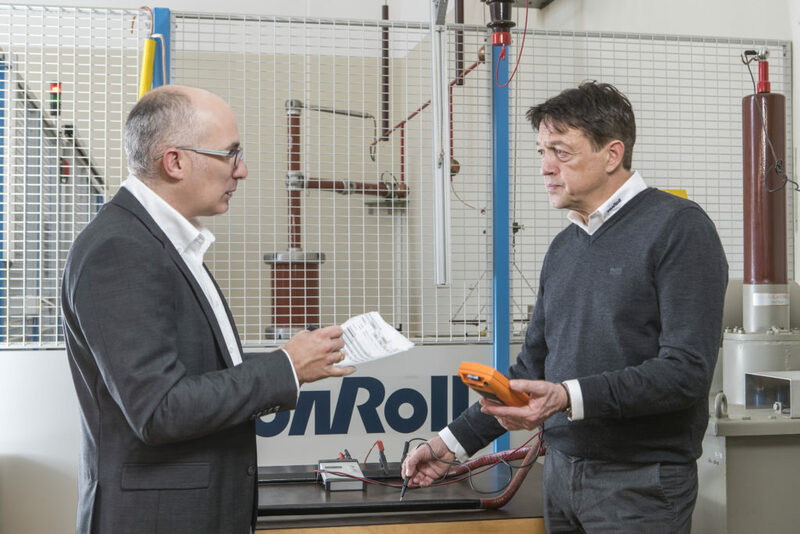 The engineers from the Von Roll Institute can support you at each phase of the planning and production process – with workshops, tests, and on-site visits. If you like, we will even take a look at your manufacturing process, assess the storage of your materials, and adjust the parameters of your machines to get the optimal performance from your insulation system. You avoid errors in planning and in the design of your components, enabling a smooth development process.